Build Business Acumen. Make an Impact. Get a solid overall business foundation with a health care focus from core curriculum courses in the Opus College of Business Health Care MBA program. From strategy and finance to marketing, you will gain a broad business understanding that prepares you to make a difference in your organization. Your courses will examine best practices, management tools and trends from across industries. You’ll also learn how to modify these practices to new conditions and business models. Develop your ethical decision-making and strategic management skills. Learn to think more creatively about new opportunities and challenges. Become a stronger, more innovative leader. The Health Care MBA curriculum consists of 15 three-credit courses that combine online and classroom learning in a cohort model. Examine the general nature of leadership styles and practices, trends in leadership in American business and explore your own personal leadership values. Distinguish leading from managing through a study of current literature and a focus on the roles of defined business and community leaders. 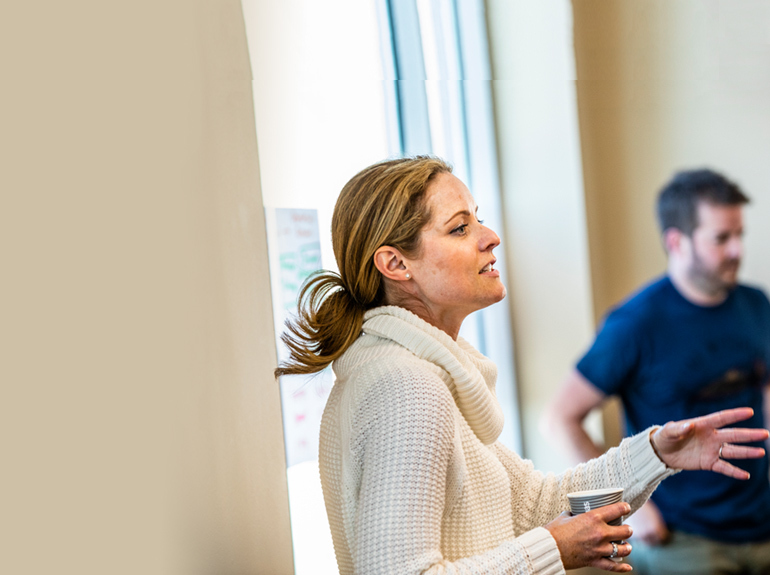 Help your cohort peers become more effective in developing relationships with stakeholders, using resources in a sustainable manner, and leading change efforts. All organizations are impacted by how people behave in those organizations. A key role of a manager is to guide that behavior to successfully accomplish organizational goals. In this class, you will gain an understanding of the various theoretical views of behavior in organizations and learn how to use these theories to systematically analyze organizational situations and generate appropriate action plans. Incorporate your experience and personal values about behavior in organizations to the development of these plans. Get an accurate understanding of the various components of the health care system (providers, consumers, payers and third parties) and how they interrelate. Learn about issues, motivations and incentives that influence all parts of the system while gaining insight into the industry’s political and social environment. Explore an integrative approach to the creation and execution of organizational strategy and policy with a focus on performance as it relates to the organization’s mission, goals and objectives. You will get practice defining multi-faceted problems and their causes, analyzing internal and external environments, reviewing key corporate and business strategies, formulating alternative strategic options, and addressing the challenges of implementation. Consider the ethical dimensions of problem solving at the general management level, with applications to both for-profit and nonprofit organizations. Evaluate how you think and make decisions, and explore the role mathematics, statistics and technology should play in them. Learn the principles of both statistics and quantitative methods and how to apply them in the real-world Discuss and reflect on how to use various decision making, probability, regression, confidence intervals, decision analysis and modeling techniques in your daily work. Focus on the planning, coordination and control of activities involved in the transformation of resources into goods and services. Get familiar with the broad spectrum of operations management functions including technology, supply chain, quality, business process improvement, lean production, workforce design, equipment, materials, and information flow. Learn the basic concepts and techniques essential for efficient and effective operations management, with a special emphasis on the healthcare industry. This course familiarizes non-financial professionals with financial statements, accounting terminology and analytical techniques. Get an understanding for how organizations use information gained from financial accounting systems in decision making, planning and control, and performance evaluation. Topics covered include data accumulation and allocation processes, application of accounting data to solving managerial problems, and strategic implications and limitations of both data and accounting systems. Learn how to apply important macro- and microeconomic principles to the health care environment. Macroeconomic topics include aggregate economic interrelationships and indicators of economic activity, causes and consequences of health care business cycles and the impact of government policy. Microeconomic topics include optimization, forecasting techniques, demand and cost estimation, market structure, pricing, decision making under uncertainty and cost-benefit analysis. Understand how creating, communicating and delivering value to customers is fundamental to a marketing-driven health care organization. Build a conceptual foundation for understanding and analyzing marketing situations. Discuss the elements involved in the process of developing, pricing, distributing and promoting goods and services that provide customer solutions and deliver differentiated value. Prepare a major study of an issue or project of your choice to demonstrate the knowledge, attitudes and skills you developed through the program. Demonstrate competence in critical thinking while exploring and solving complex, significant issues in health care. Present your findings and recommendations to the faculty and your cohort peers in both written and oral presentations. Designed to help the general manager understand what it takes to create corporate environments where entrepreneurial ideas can flourish, you’ll learn how to identify and evaluate new opportunities and transform innovations into profitable businesses. In short, develop the skills and knowledge needed to apply the entrepreneurial process within a corporate context. As part of this course, you’ll go on a 7- to 10-day international residency. Focus on the financial management of business by studying risk, return, evaluation, cost of capital, capital budgeting, long-term financing, capital structure theory, financial analysis and planning, and capital management. Examine how ethics in health care finance has affected the health care marketplace and the impact of capital decisions on cost of capital for health care organizations. You’ll also study the international aspect of financial management. Enhance your ability to recognize, understand, and express the ethical dimensions of the situations and decisions you may face as professionals. Learn how to make sound decisions in business and develop the skills and commitment required to navigate complex ethical issues successfully. Get an understanding of the government regulation and liability of physicians, healthcare personnel, hospitals and other healthcare institutions. Learn about and the cost and quality of healthcare, the financing of healthcare delivery and other legal aspects of medical ethics. Study decision making and planning processes, liability, contracts, torts, medical records, malpractice, consent and tax-related issues. Address the socioeconomic, political, ethical and practical issues confronting the medical care system in the United States with a three-day Washington, D.C., seminar and related coursework. Using current, high visibility health policy issues, you will study the trends in providing and financing care in changing markets and governments, as well as the implications for clinics, medical groups and health professionals. 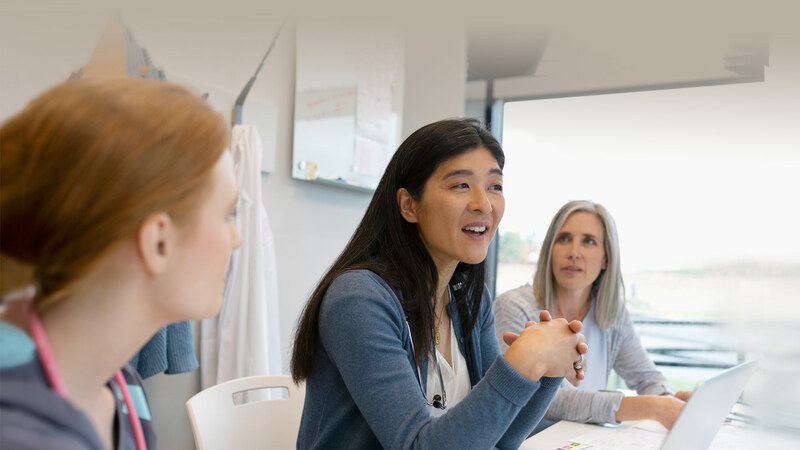 Gain the knowledge, confidence and connections that put you in a position to lead and advance your career in health care. Our Health Care MBA teaches you valuable leadership and critical thinking skills that equip you to make decisions about best practices in health care business strategies. As the capstone experience, this course provides students an opportunity to showcase and integrate the skills they have developed throughout their MBA, with a concrete link to the challenges and opportunities students face in their career.